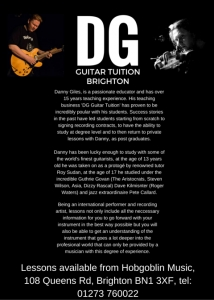 We are on Queen’s Road, which is the main route from Brighton’s main railway station into the city, or to the North Laines. By train: Head South from the station, we’re on the left about three minutes down the road. From the beach on foot: Head up West Street, past North Street and the Clock Tower and continue up Queen’s Road to find us on the right hand side, just after North Road. By Bus: Most of the city’s buses stop either at the Churchill shopping centre or the train station, and we’re a very short walk from either. Several buses including the 6, 7, 12 and 47 stop on Queen’s Road right near our shop. By car: The city’s NCP carparks are very convenient to the shop but a little bit pricey. 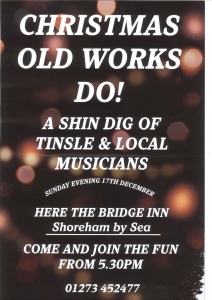 There’s one just round the corner on North Road but we’d recommend either the London Road or Train Station car parks as they’re much more reasonably priced. 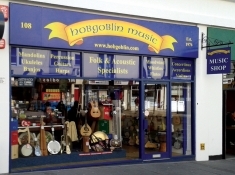 Hobgoblin Music arrived in Brighton in June 2014 and has been in Sussex since 1976. 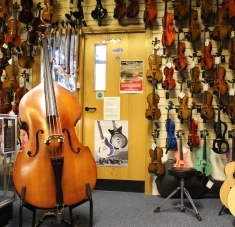 The Brighton branch offers Hobgoblin’s huge range of new and secondhand folk and acoustic musical instruments, in a splendid location a 3 minute walk down the road from Brighton’s main train station, so quick to get to from Hove, Lewes, Worthing, Crawley and Haywards Heath, and an easy stroll from both the North Laines and the Churchill Shopping Centre. 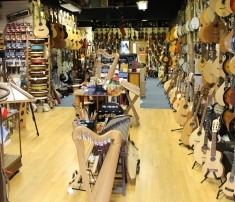 After an unsuccessful visit to another music shop, I took my Ukelele into Hobgoblin for advice on an loose (and unreachable) input jack. The chap took it straight out the back and fixed it their and then. Came back playing it. Great service. The end. 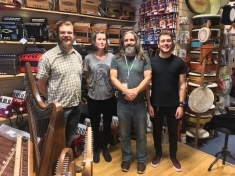 The shop was brilliant and the two friendly chaps who served me were friendly and chatty, as well as extremely helpful and polite. 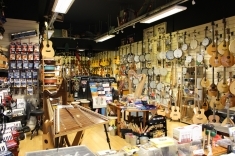 i met jack on the first two times i went to the shop, and he was polite and helpful, it was fun to play, as i felt ubder no pressure to buy the used guitar. after my purchase i came back and saw Rob the manager and he was able to set up the action abd playabilty for me as part of the service which i appreciated .There was another member of staff on duty on the 18th, but i didnt catch his name he was also a nice guy. congrats to you all, i wll definitely shop there again. 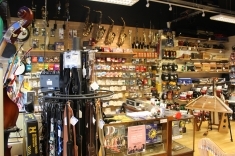 The store were very helpful with my order, as I needed their advice on tunings. 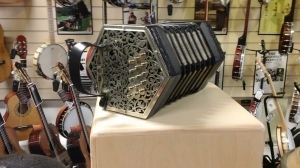 My instrument arrived the next day well packed, well done Hobgoblin. It’s such a refreshing change to deal with people who go the extra mile to try and help.